A few months ago the New York Times published an opinion piece on mathematics education. Written by philosopher Alice Crary and mathematician W. Stephen Wilson, the piece could easily be dismissed as just one more missile in America's entertaining but interminable "math wars". However, with a little guidance, we believe that Crary's and Wilson's missile may have struck an interesting and unintended home. In their piece Crary and Wilson make strong claims for the importance of teaching traditional arithmetical algorithms, the (once) familiar recipes for adding and multiplying, and so on. They argue that applying such algorithms is not, as is often claimed, a matter of thoughtless mechanics. Rather, the mastering of these algorithms requires a sense of the way the algorithms work and a strong familiarity with numbers. Moreover, since the standard algorithms are "the most elegant and powerful for specific operations", it follows that "they are our best representations of connections among mathematical concepts". Crary and Wilson claim that America's "reform strategy" (which has been broadly adopted) trivialises the value of teaching these algorithms and misguidedly encourages the use of calculators in their stead. Crary's and Wilson's op-ed received the predictable cheers and jeers. In particular, it prompted a snarky response from famed maths populariser and mathematician Keith Devlin. Though there is much in Devlin's long response, his central objections are easy to summarise. Devlin notes that the traditional algorithms were invented and perfected for pencil and paper calculation, and consequently they maintain no special status in an era of cheap calculators. Devlin agrees that it is important to the teach some algorithm for each arithmetic operation, but he claims that there are better algorithms than the traditional ones for the teaching of numerical reasoning. Moreover, Devlin claims that America's reform strategy actively incorporates such preferred algorithms. To the extent that the reform strategy advocates the use of calculators, Devlin has no apparent objection; he specifically claims that having machines perform numerical calculations frees up time to focus upon the deeper nature of number and computation. Who is right? Who cares? To begin, Devlin makes an obvious and strong point: just because an algorithm was once fundamental to a mathematical education does not imply that it remains so. Extraction of roots used to be a necessary skill but we would not now think to ask a student to estimate √2 by hand. Slide rules and log tables have rightly gone the way of the dodo. Should long division still be taught? Your Maths Masters are undecided but we think perhaps not. On the other hand, Devlin dramatically undercuts his argument with his claim that calculators can benefit the learning of computation. This claim is prima facie nonsense, we have seen no evidence to support it and we simply don't believe it. We don't believe there is any royal road to understanding arithmetic, that there is any way to learn the nature of arithmetic computation except to compute. But so what? Your Maths Masters' opinion of Devlin's opinion of Crary's and Wilson's opinion of America's reform strategy can be of little interest to anyone. However, what we believe may be of genuine interest is the light Devlin's response shines upon Australian mathematics education. Let's start with an easy one: the use of calculators. Crary and Wilson claim, with appropriate contempt, that American reformers advocate calculator use in grade two. In response, Devlin simply declares their claim to be false. He goes further, professing to not know a single teacher who advocates calculator use in the second grade. We suggest that Devlin get out more, and visit Australia more often. In Australia it is common for grade two classes to use calculators. Moreover, such use has been actively encouraged by education authorities. Indeed, early drafts of the Australian Curriculum had the appalling direction for calculators to be used to introduce counting in foundation (beginners) classes. Many such blatant and absurd suggestions were howled down and are now out, but the calculators are still very much present. There is no clear directive to not use calculators in early grades. By grade three, and a year before times tables receive their one and only mention, it is expressly encouraged to use "appropriate digital technologies" to solve multiplication problems. What about algorithms? The word "algorithm" itself does not appear in the Australian Curriculum until year 11. (There, the word appears in a specific and technical sense, unrelated to the issues here.) Can there really be no algorithms at all? It is difficult to tell. The Australian Curriculum has numerous references to "strategies", but it is often very difficult to determine what is intended. The few arithmetical strategies that are spelled out amount to special tricks, such as 57 + 19 = 57 + 20 - 1. Such tricks are worthwhile but fall far short of the general applicability of an algorithm. Still, perhaps some algorithms are expected, even if the traditional algorithms are being downplayed. (Devlin did not specify the algorithms he preferred, but we are open minded as to their existence and their value.) However, the simplicity of the sample problems in the Australia Curriculum suggests that algorithms of any type are given little or no weight. The 2013 NAPLAN Numeracy tests provide further, compelling evidence of the belittling of arithmetic algorithms. The heaviest arithmetic required is probably that in a subtraction problem on the year 5 test: given 1721 of 2350 tickets have been sold, how many are left? (Being a multiple choice question, the problem could also be more easily solved by taking the possible answers and performing addition.) None of the tests appear to have any meaningful testing of multiplication or division skills. The Australian Curriculum proudly states that "Being numerate involves more than the application of routine procedures within the mathematics classroom" (emphasis added). It would then seem fair to conclude that what is supposed to be "routine" in Australian classrooms is to avoid any mental arithmetic that is not trivial. Really? What's to ponder? Not the question itself, of course, which is boring and incredibly easy. What we're pondering is why less than half of year 7 students answered the question correctly, and why only a quarter of year 5 students did so? 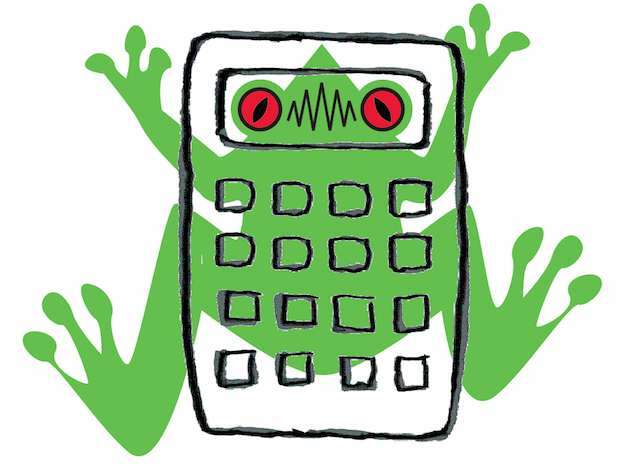 Are calculators and the failure to teach algorithms to blame? Your Maths Masters will assume so until a more likely culprit comes along. So there you have it. Crary and Wilson offer a scathing commentary on America's reform mathematics, which Devlin largely counters by claiming it's straw men, by denying that anyone would advocate such absurdities. And, it seems those same straw men are in charge of Australia's mathematics education. On occasion, one watches the goings on in America with bemusement or horror, but not this week. This week, the educational shoe is on the other foot.